Doctors Council SEIU is the nation’s oldest and largest union for physicians and dentists. Doctors Council is affiliated with SEIU. We represent doctors who work in public and private hospitals, clinics and facilities in all specialties. Doctors Council SEIU has a long and successful history of advocating for union doctors. Doctors Council SEIU brings together frontline doctors to win a united voice for doctors, our patients and the communities we serve. Our members practice in New York, New Jersey, Illinois and Pennsylvania. With all the changes occurring in healthcare this is a challenging and exciting time to advocate to ensure that the voices of doctors and patients are heard as we strive to improve how doctors can practice medicine at work and the health of the communities we serve. Our national office is located in New York City. 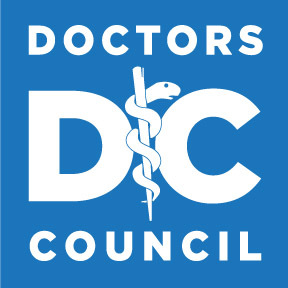 To learn more about us, please visit our website at: www.doctorscouncil.org. We are looking for individuals with a demonstrated commitment to the labor movement. The Contract Administrator/ Worksite Organizer is a “hands-on” individual who works daily with our membership. This position answers questions about contract rights. The Contract Administrator also files grievances and does preparation for arbitration to enforce our contract rights. In addition, this position prepares for negotiations through working with the membership, doing bargaining surveys, creating proposals and working with the bargaining committee. Community and political action centers around advocating for our members, our patients and the communities we serve. Quality improvement work includes coordinating with our members, administration and other members of the care delivery team on identifying ways to improve quality care and patient satisfaction, and collaboration to achieve sustainable results. Excellent verbal and written communication skills are required, as well as the ability to work in a team environment. Experience as a Field Representative or Organizer; proven ability to carry on the responsibilities of the job; effective written and communication skills; ability to listen actively and frame issues; ability to assess information and evidence and deal with conflicting/changing priorities; ability to think strategically and exercise a high level of judgment; willingness to work long and irregular hours and participate in all union wide activities; computer literate. At least two (2) years experience required in representing/organizing workers, preferably in healthcare. This position may work on contract campaigns, new external organizing and/or any of the above depending on the needs of Doctors Council. Evening and weekend work will be involved. You must be a self-starter with the ability to work under supervision. Driver’s license and insurance required. Salary depends on experience. Excellent full benefit package includes 100% employer paid self and dependent medical and dental, as well as 100% employer paid defined benefit pension plan. When applying, please email us a compelling cover letter that gives us a clear picture of who you are indicating why you want to work as a Contract Administrator/ Worksite Organizer for Doctors Council SEIU, and stating your interest and qualifications. Please also send in the email a writing sample, and a detailed résumé, along with at least three (3) professional references and their e-mail addresses and telephone numbers. Please put the Subject Line: Contract Administrator/Worksite Organizer in your email.